We try to provide our members with the perfect balance of social networking and business interests. 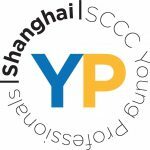 Whether you are a newcomer to our community, or a full-fledged China veteran, we would like to invite you to come hang with out with us and our fellow Swedes, as well as the many Sweden-enthusiasts that tread the streets of China! If you are looking for new opportunities within the Swedish business community, we encourage you to take a look at our Career Portal, the perfect up to date tool for you when on the job hunt. 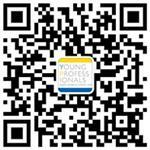 A membership to the Young Professionals in China is completely free of charge; all you need to do is register to our website in order to start receiving updates from us. Linn first came to China in 2012, and spent five years of pursuing both Chinese studies at Shanghai Jiao Tong University and a Bachelor degree in International Trade and Economics at Donghua University. Thereafter, Linn joined the military undergraduate education for the Swedish Armed Forces. In 2018, she did an internship at the Swedish Ministry for Foreign Affairs and worked as an analyst for Stockholm Chamber of Commerce, specifically focusing on tasks related to China. She is now back in Shanghai to further deepen her knowledge about the country and aims to also write the Chinese proficiency exam HSK level 5. Eight years of hard work at Kjell & Company finally landed Igor the executive responsibility for the company’s Shanghai based sourcing office in 2015. He has been a board member of YP since. What he doesn’t hold in credits and acronyms from well renowned educational institutions he makes up for with determination and an uncanny can-do mindset. With more than five years of experience in the field of sales and service, Filippa is currently in Shanghai pursuing her Bachelor degree in International Business and Economics. During the studies Filippa has been awarded with the University's self-sponsored outstanding scholarship for academic excellence and her commitment to improve and develop has made her a leader for the University's student association. After more than one and a half decade of studies Olivia recently graduated from Shanghai Jiao Tong University with a Master degree in International Business and initiated her professional career, currently working at H&M. Nonetheless she is, in between chopstick trainings and attempts to adapt to the Chinese mobile-first era, secretly musing the thought of finishing her PhD before reaching 30. After working several years within Sales and Marketing in Sweden, with the latest experience at IBM, Olle has been in Shanghai since early 2017. Since then Olle has been a part of China's Sharing Economy & New Technology era by launching oBike's Bike-Sharing service Stockholm, and is currently leading the business development and marketing of a prominent Blockchain company, Odyssey Protocol. With over three years of studies in Chinese and Industrial Engineering, Alexander has recently enrolled as a Finance and Computer Science student at Fudan University. In connection with his background in the startup world and interest in Chinese Tech, he founded the organization Nordic-China Startup Forum in Shanghai with the goal of pomoting cooperation, investments and exposure of Nordic and Chinese Startups. In 2017 Errol moved from Stockholm to Beijing for love and has since then taken an interest in Chinese culture and lifestyle. He got a degree in Political Science from Uppsala University and previously studied at Royal Institute of Technology (KTH) and Karolinska Institute. Errol has been doing PR-consulting work for companies in the Luxury Fashion, Watch and Car industry. Veronika is currently studying as an exchange student at Guanghua School of Management, Peking University, pursuing her Bachelor’s Degree at Lund University with a major in Business Administration. In the meantime, she is also a Co-founder of SMAKA café & bakery in Shanghai together with her two sisters. Veronika has previously worked for two years during her studies as a finance assistant at the software company QlikTech International. As a Swedish born Chinese girl, she grew up with two different cultures, so today both Sweden and China feels like home. After Alice received her Bachelor Degree of English, she worked at IKEA. Then, she went to Sweden to pursue her study. During the five years in Sweden, she received Master’s Degree of International and Comparative Education in Stockholm University. Also, she received Master’s Degree of English Literature in Dalarna University in Sweden. In addition, she also learned Swedish. Now she works at EF as an English teacher. 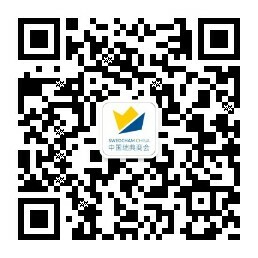 She really interested in Swedish culture and education, so she would like to share her overseas experience to you all. Ebba is currently studying economics and business at Tsinghua University, on exchange from the University of Amsterdam. She has studied Chinese since the age of nine, and is fluent in the language. In total she has lived and studied in China for almost three years. She is currently thinking about where to pursue her Master's degree as her current studies are coming to an end, and she wishes to continue within the field of Chinese Politics and International Relations. After having competed internationally in motocross and cross country running, she now enjoys runs and bike rides around Tsinghua’s campus. 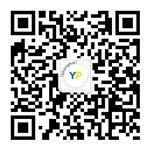 Follow us on WeChat - Scan the QR-code or search Subscription Account "Swedish YP 上海"
Follow us on WeChat - scan the QR-code or search Official Accounts for "SwedishYPBeijing".